When John McCain first arrived on Capitol Hill in 1982 as a newly-elected Congressman from Arizona, he was fiery, fiesty, bold, and conservative. But not any more. Thirty-plus years later — and now an immensely powerful Senate Chairman — John McCain has crossed over to become one of the most liberal, Republican Senators since the treacherous days of party-switcher Sen. Arlen Spector (who delivered to the Democrats control of the U.S. Senate) . In fact, Sen. John McCain has done more in recent years to undermine and destroy conservative Republicans on Capitol Hill than perhaps any other Republican Senator. 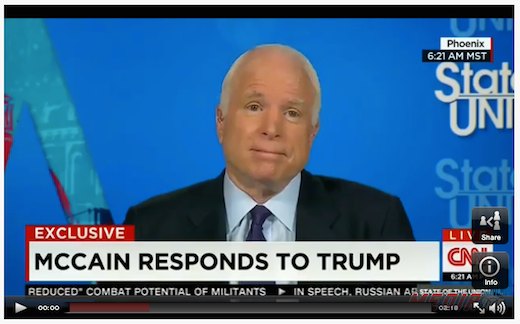 McCain has smeared conservatives — who’ve refused to help Obama ram his far-left agenda through the Senate — as “whacko birds” and “crazies”. Just think about how McCain would undermine a conservative Republican President… It’s time to Retire John McCain – DONATE HERE. John McCain has aggressively pushed amnesty for millions of illegal aliens. In fact, McCain’s own party in Arizona censured him for championing Marco Rubio and Democrat Chuck Schumer’s “Gang of Eight” amnesty bill, among a litany of other liberal votes. He has worked hand-in-glove with the Democrats — including Obama when he was a member of the Senate — to create a massive job-killing “cap and tax” bill to force a fraudulent “global warming” scheme onto the backs of American taxpayers. McCain voted for the Wall Street Bailout. He has voted repeatedly to fund and implement Obamacare. On foreign policy, he has wrecklessly pushed to arm the Syrian rebels (who are chock full of ISIS and Al Qaeda militants). Worse yet, he’s even called for putting American “boots-on-the-ground” to intervene in Syria’s bloody Civil War. That’s just insane. It is time to Send John McCain home. Fortunately, conservatives have strong candidate to take on McCain. 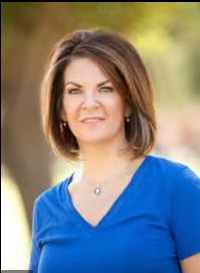 Arizona state Senator Kelli Ward, a physician, has stepped up to the challenge. Now we need to do everything we can right now to help her, because she’ll be savagely attacked by the GOP Establishment (much like they did to Chris McDaniel in Mississippi). Dr. Kelli Ward is going to need a lot of help and financial resources to fight back. Revive America PAC is FULLY in her corner. Kelli Ward needs to know that we’ve “got her back”. Sen. John McCain is a powerful, and well-funded Senator. He’ll have the machine of Mitch McConnell and the big money Washington Establishment in his corner — dedicated to destroying Kelli Ward. We need to support her ‘to the max’.